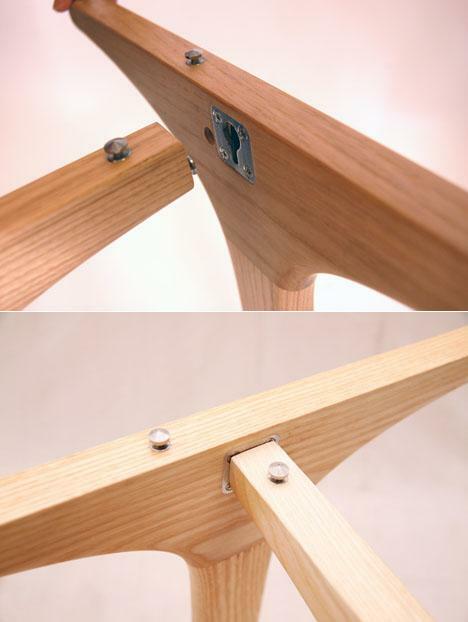 At last, you can kiss that pesky little allen wrench goodbye. This table design by David Koch assembles using absolutely no tools: Just a little Tetris skill and light lifting. Simply known as the 3style Table, Koch’s design allows those at home to easily put the table together using the keyhole slots and accompany pins. By interlocking the metal pieces in place, the wood table stands sturdy while maintaining a lightweight body. Like the name suggests, the 3style table can be assembled in three different configurations: A dining room table, a coffee table, or a work desk. All you need is the right wood panel and legs for the desired length and width. By just sliding the locking the pieces together, assembly should take no longer than just a few minutes. Since the parts are also detachable, it will easily flat pack when you need to move. The base of the table is made from white ash, a type of hardwood that’s native in the eastern part of the United States. It’s also the same type of wood used for baseball bats, meaning it’s light yet rigid. At $500 apiece, it’s certainly not as competitive priced as IKEA furnitures but you can save yourself a bit of elbow grease and a lot less frustation if IKEA instructions get too confusing. Don’t forget the added bonus of versatility in a 3 in 1 type design. If you’re looking for different color panels and wood, you can also email the company for their available options. 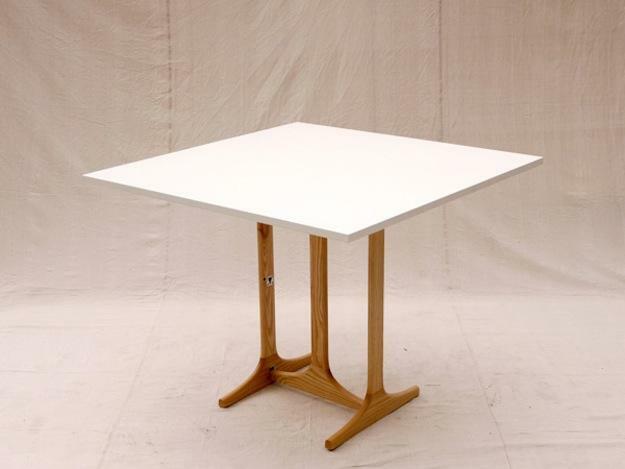 Watch the video below for a quick timelapse of how the 3style Table is assembled.